The latest Penguin Update was launched on April 22, 2013. This is the second generation of Penguin update by Google. In April 2012 the algorithm was first released and it totally focused on web spam. The effect of this update 2.0 is about 2.3% of English-US queries. After this update, many spammers got affected and lost their ranking in search engine result pages. This is big update for those who use black hat SEO and follow wrong way for link building. 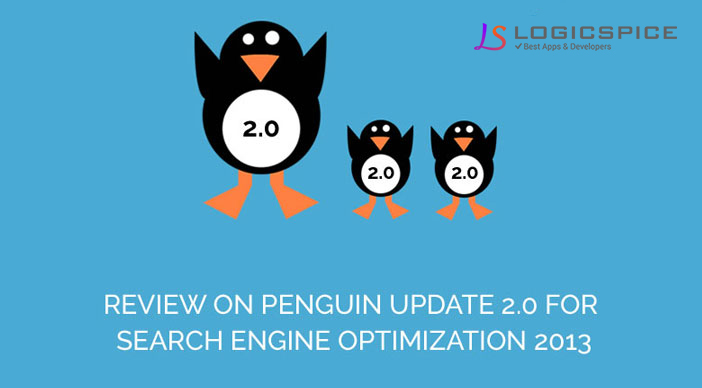 There is a big change in search results after Google released this Penguin Update 2.0. Now the only question in blogger’s and webmaster’s mind is how to recover their website from penguin update. Here, I am sharing few low quality links that will surely affect your ranking on search results. 1. Leaving spam comments on irrelevant blog posts. 2. Making low quality Guest blog posts. 3. Links from those sites having low page rank, low domain authority and irrelevant content. There are many other issues that can affect your website ranking on search result. So if your site is hit by penguin, then you need to check all your links and make a list of dead links, irrelevant links and remove them from your website. Previous Major Penguin Updates by Google: Below is a list of Google Penguin updates, which have been rolled-out so far; • Penguin 1st on April 24, 2012 “impacting 3.1% of queries” • Penguin 2nd on May 26, 2012 “impacting less than 0.1% of queries” • Penguin 3rd on October 5, 2012 “impacting 0.3% of English queries” • Penguin 4th on May 22, 2013 “impacting 2.3% of English-US queries” After the 1st update, the 2nd and 3rd were data refreshes of the same basic Penguin algorithm update with only negligible changes. The 4th release made a major change in search result, so Google referred to it as Google Penguin 2.0.